Flexible connections are manufactured with cross sections between 25 mm² and 4.500 mm². Flexible connections are composed of pressing braided copper wires in copper pipes under a strong press. The elasticity depends on diameter of wire, number of braided copper wires and type of braid. Press welded connections are offered in aluminium and copper finish. Flexible connections (high flexible = braids or press-welded copper shunts = press-welded shunts) are used in many areas of high current engineering. They are used as connectors for high current conductors and busbar systems to reduce expansion, vibrations and switching effects. Shunts made out of aluminum OR copper foils with solid end-connection parts connected by cross welded process. HOMA can provide the performance of cross-section of the flexible connectors according to the customer needs. In addition to the above mentioned types of flexible connections, we also supply on demand e.g. 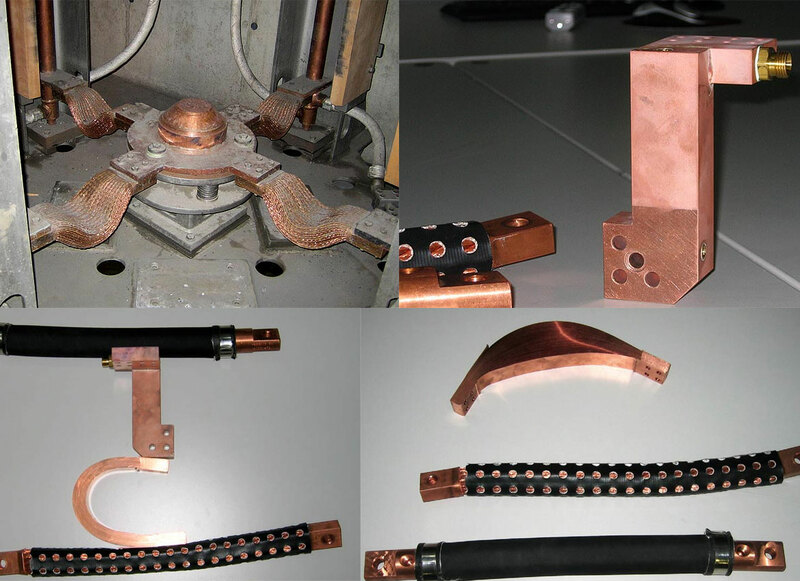 aluminium foil connectors with copper/aluminium-plated connection partsby cross-welding process.